Dazed's resident fashion week photographer Yu Fujiwara has become known for his refreshing approach to documenting the peacocking attendees that descend on Paris, London, Milan, and NY each season. By snapping unsuspecting subjects, off-kilter characters and by-the-by moments instead of the regular street style stars, he manages to paint a more wholly representative picture of the people lining the pavements outside the shows. His images from last week’s LFW, largely taken outside the BFC show space before Marques Almeida and backstage at Burberry, see street style aficionados, designers (Raf, we see you), models (Cara Delevingne, Adwoa Aboah, Jess Maybury and Taya Francis), crew, members of the public and celebrities (Paris Jackson) all rolled up into one for your viewing pleasure. 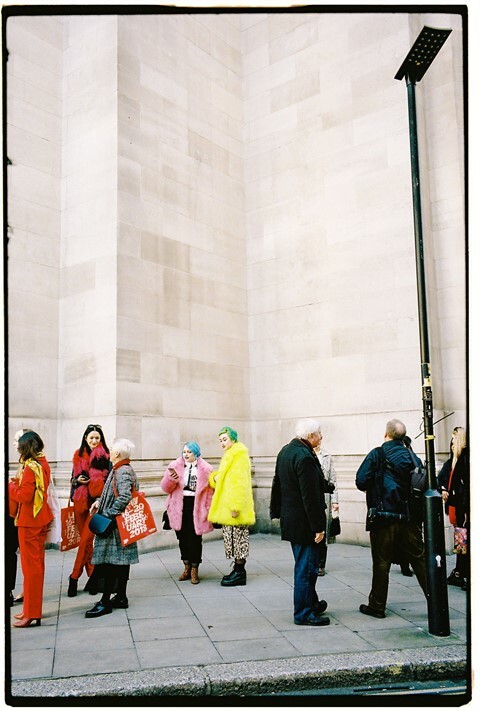 Truly capturing London’s eccentricity, the images feature everyone from carefree kids by the roadside, to technicolour-haired teens and people in post-show getups – all flanked by the same chilly weathered, phone box laden backdrops we all know and love this diverse city for. Head to the gallery above for more images.